Builder. It’s the word Luke Kunkel feels best describes Conco. Many of his peers in other companies, he says, have turned into fulltime brokers who subcontract every facet of a project and lose control of quality, schedule, cost and safety. 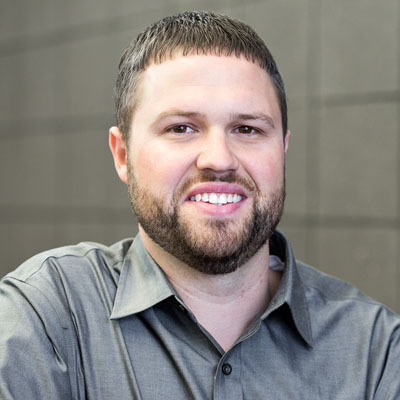 “We self-perform many parts of our work with in-house craftsmen and are a true builder.” With a master’s degree in Architectural Engineering from Kansas State University and nearly a decade of experience at Conco, Kunkel serves a wide range of projects, from design-build to higher education and automotive. He is responsible for developing/retaining client and architect relationships, estimating, scheduling, procurement, project coordination and leading progress meetings. “There isn’t a set timetable for how fast you can progress in your career here. Conco is going to give you as much growth opportunity/challenge as your abilities allow.” Kunkel loves getting to work with people he really enjoys and appreciates how hard Conco works to make the construction process easy for clients.